The Transatlantic Collapse of Urban Renewal examines how postwar thinkers from both sides of the Atlantic considered urban landscapes radically changed by the political and physical realities of sprawl, urban decay, and urban renewal. With a sweep that encompasses New York, London, Berlin, Philadelphia, and Toronto, among others, Christopher Klemek traces changing responses to the challenging issues that most affected the lives of the world’s cities. In the postwar decades, the principles of modernist planning came to be challenged—in the grassroots revolts against the building of freeways through urban neighborhoods, for instance, or by academic critiques of slum clearance policy agendas—and then began to collapse entirely. Over the 1960s, several alternative views of city life emerged among neighborhood activists, New Left social scientists, and neoconservative critics. 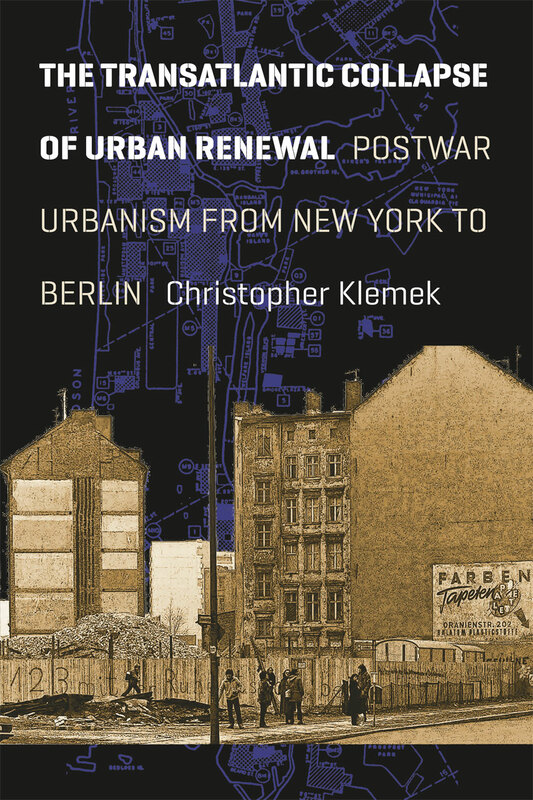 Ultimately, while a pessimistic view of urban crisis may have won out in the United States and Great Britain, Klemek demonstrates that other countries more successfully harmonized urban renewal and its alternatives. Thismuch anticipated book provides one of the first truly international perspectives on issues central to historians and planners alike, making it essential reading for anyone engaged with either field.